Deals signed in France, Italy, Asia, Russia and Australia. 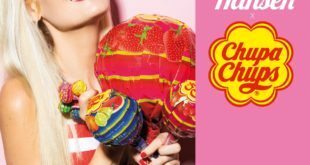 Classic lollipop brand Chupa Chups has kicked off the New Year with a raft of deals across several territories. In France, Sahinler SAS is preparing a spring launch for Les Halles aux Vetements, as well as a ‘Home Sweet Home’ bedding collection. 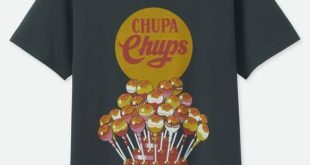 This will complement the table top range launching from Barbier, while gift packaging specialist Francal will be making gift bags featuring the Chupa Chups artwork. In Italy, Salvadori Arte will be presenting its Chupa Chups house decoration ideas at the upcoming Macef fair in Milan. Uniqlo is continuing to sell its branded tees for men and children across the globe, while the Itochu Corporation is preparing a full apparel range which will launch in Japanese department stores this spring. Takara Tomy is creating an original Chupa Chups ice lolly maker; T-Factory is designing a line of gadgets; and Gigno System is launching a game app. 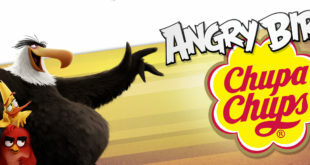 Other upcoming projects in the Far East including the co-branding of the A + AB rabbit character in Hong Kong, plus the launch of an apparel line in Korea and China by Chamzon. In Australia, Magic Brands is preparing a range of accessories for smart phones and tablets, while air fresheners have recently launched into the market from Who Rae. Finally, there are three new deals in Russia which will be announced shortly.